Terry Dale Cruse is MSU-Meridian's new administrative director and head of campus. Mississippi State University-Meridian will hold a reception Feb. 4 to welcome Terry Dale Cruse as its new administrative director and head of campus. Cruse will be the university's chief administrative officer and will be responsible for managing approximately 500 students and supervising 90 staff and faculty members. Cruse previously served as vice president for enrollment services at LeTourneau University in Texas for two years, where he oversaw the university's comprehensive strategic enrollment management efforts. He also spent eight years at Missouri Baptist University, where he held various enrollment roles including being the first vice president for enrollment services. The reception will take place from 2-3 p.m. in the grand lobby of the Riley Center. 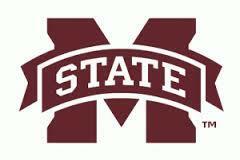 Want to get notified whenever we write about Mississippi State University ? Next time we write about Mississippi State University, we'll email you a link to the story. You may edit your settings or unsubscribe at any time.